An open faced omelet, paper thin piled high with just about anything you like, it’s my new favorite breakfast. 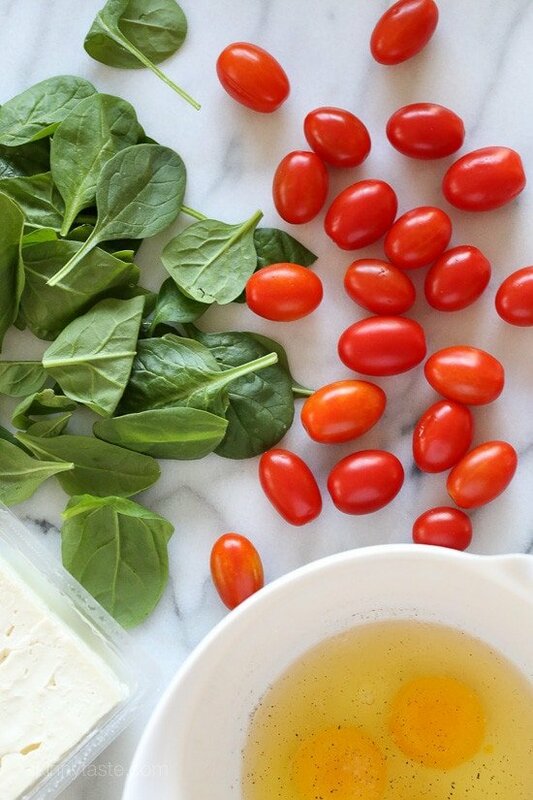 Lately, my go-to is this amazing combination of roasted tomatoes with spinach and feta cheese. Roasting grape tomatoes in the oven with a drizzle of oil, salt and pepper and some fresh herbs (can you believe my herbs are still alive in my garden!) become sweet like candy. The salty feta crumbled on top is the perfect compliment, and really packs so much flavor – a little goes a long way. 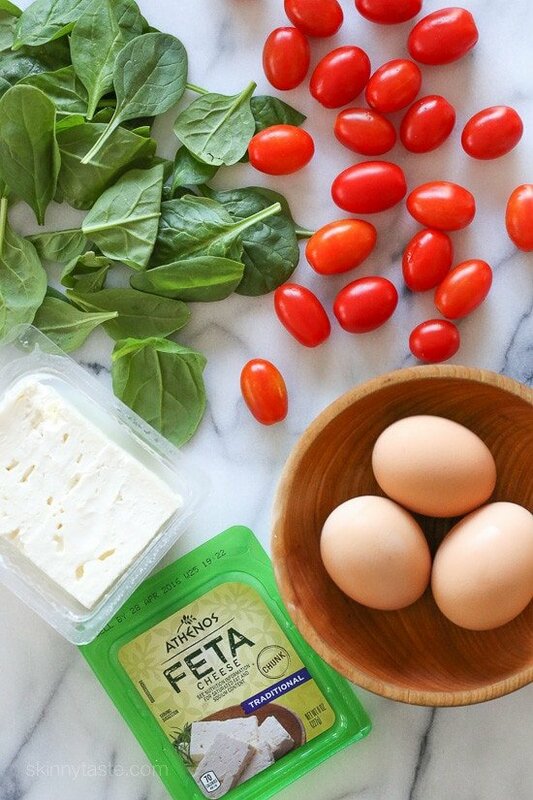 Athenos reached out to me and asked me to share a recipe using their Feta cheese, seeing I love Feta and share tons of recipes with their cheese. 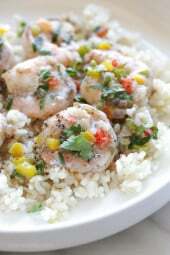 Easy – I knew this was the recipe I was going to make! Sometimes I use arugula instead of spinach, you can really use any greens you like. I prefer to buy the chunk and crumble it myself because I think it tastes better and the texture is moist and perfect. 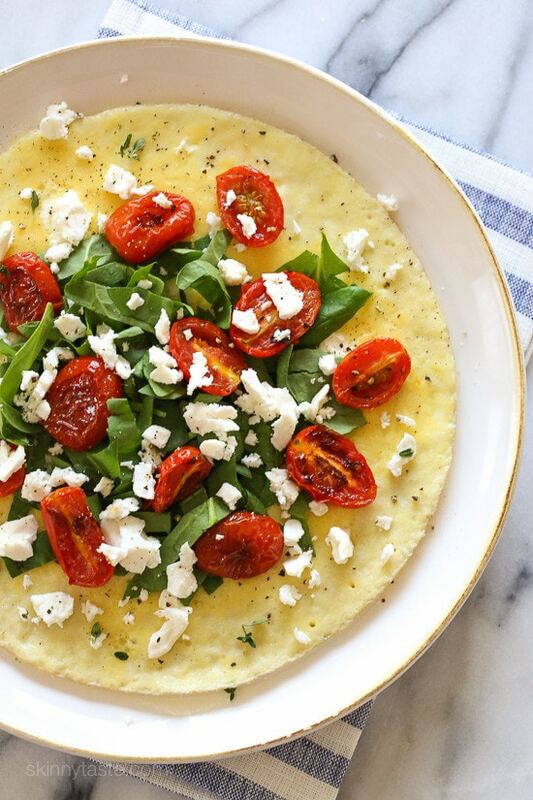 These omelets are pretty quick to make, but if you need something quicker, you can skip roasting the tomatoes and leave them uncooked, which tastes great for a 5-minute breakfast. 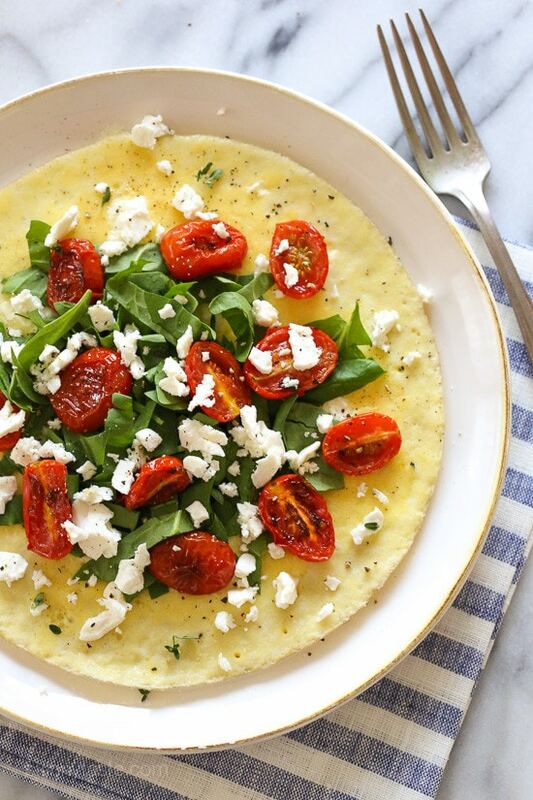 What would you top your omelet with? I’m always open to more ideas! 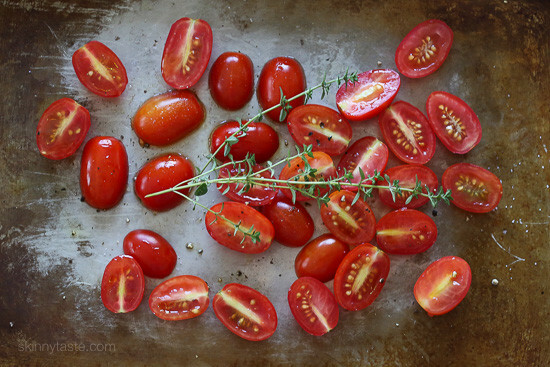 Place the tomatoes on a small baking sheet and drizzle with oil, salt pepper and fresh herbs. Roast about 12 to 15 minutes. Meanwhile beat the eggs in a medium bowl with a little water, salt and pepper. Heat a medium nonstick skillet over medium-low heat. Spray with oil and pour half of the eggs. Cook until they set, about 2 to 3 minutes then slide onto the plate. Repeat with the remaining spray and eggs. 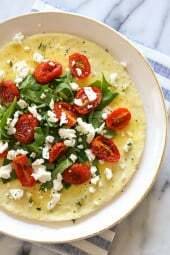 To serve place eggs on two plates, top with spinach, tomatoes, feta, salt and pepper. I am in love with this recipe and this open faced omelet life hack is genius. Thank you!!! I just made this tonight. Roasted the tomatoes in toaster oven while I got spinach ready and made the two omelets. then just assembled down the middle third of omelet the spinach, tomatoes, and feta, and just rolled the sides up like omelet. Delicious, thank you!!! 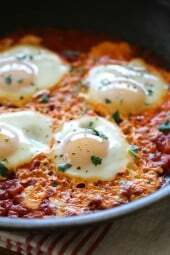 I pan roasted the tomatoes and then just poured the eggs over them in the same pan. Cooked til set then topped with spinach and feta. This looks great! Question..how is it 5 smart points if eggs are 2 points each, that's not counting the feta? I’m confused it says in the recipe 3 large eggs nothing about egg whites. I had never roasted grape tomatoes before. I love them and now use them in lots of other dishes. So flavorful! 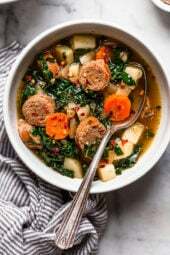 Thanks again for another simple but wonderful recipe. That omelet looks delicious and refreshing. Perfect for a brunch! Got to try it! Perfect!This recipe is very common for greek people!We love omelet!So good to see this recipe here! I'm always amazed at how good roasted tomatoes are with eggs. A bit tough to find ripe ones this time of year, but the roasting does help to intensify the flavor. Thanks for the recipe! Roasting even helps the ones you get in the supermarket. My most favorite omelet is with cut up baby spinach, minced onion, crumbed feta cheese, eggs of course, and salt and pepper. It's like an egg version of spanakopita.